So, here i am, as promised, with the #fashionfriday section, this time sharing with you a little DIY project. 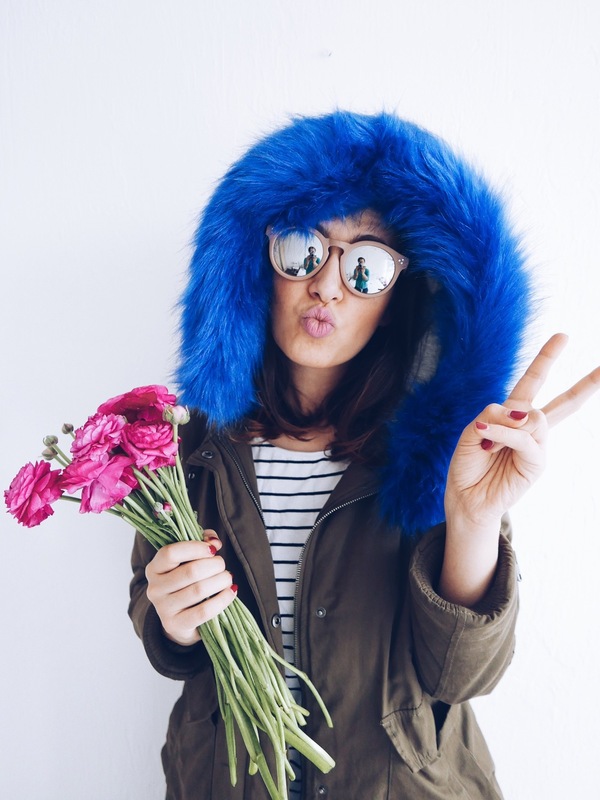 The parka has been one of the most fashionable winter wear items these last years. The coat was actually invented long time ago by the Inuit people living near the Artic Circle and the word is of Russian derivation, meaning "reindeer fur coat". Pretty different from our polyester and cotton parkas, right? Now, back to our times, the parka started with the normal brown fur, then they also made them with leather sleeves and now the colorful fake fur. Olivia Palermo was one of the most important parka trendsetters, where the new ones were made popular by Nicole Benisti and bloggers Kiara Ferragni and Aimee Song this last winter and i believe we´ll find them in every store the next season. Mark my words, haha! 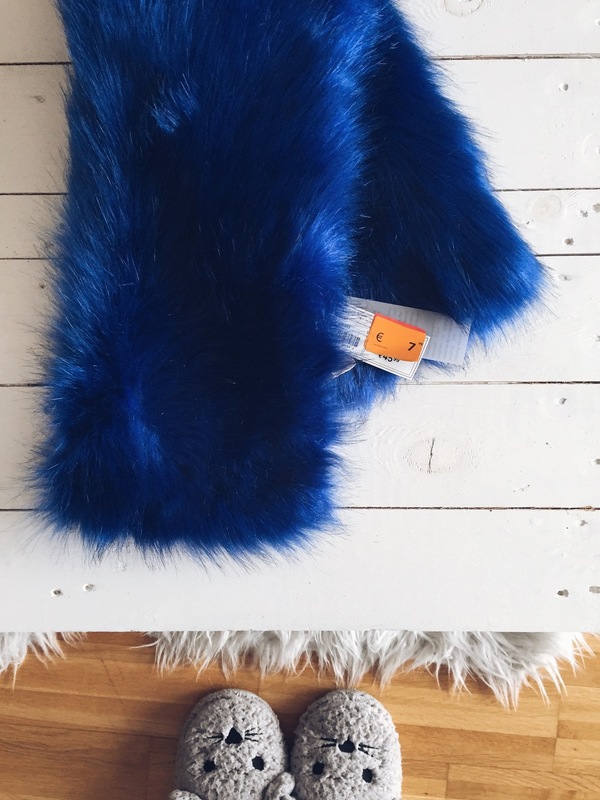 a colorful fake fur scarf to replace the old one. I used burgundy and blue, but you can use black, white, pink, or even yellow neon. 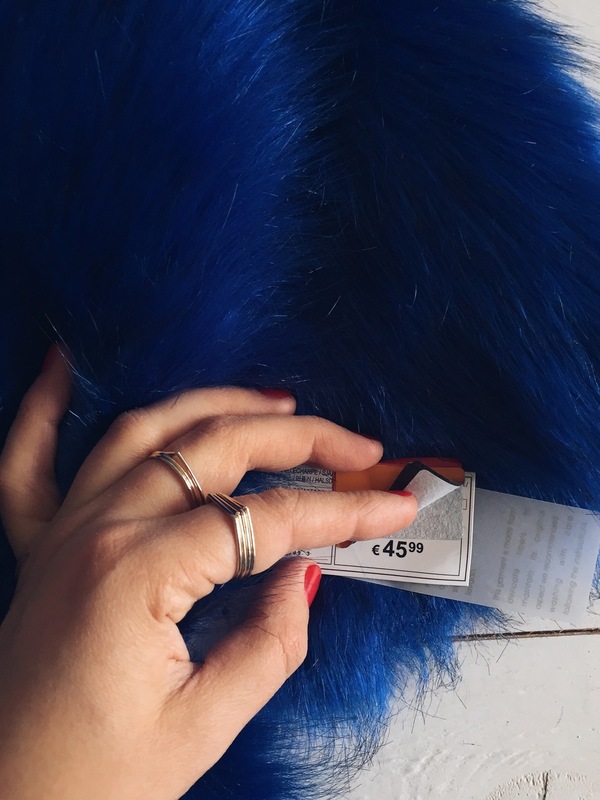 I bough the burgundy scarf from Forever 21 (17 euros) and the blue fur from Zara Home on sale, only 8 reduced from 46, say what?? ?